This project is a once in a lifetime opportunity to deliver an inspirational place to live, work and enjoy. Ultimately, CEG wants to deliver a place you are proud of and this is your chance to be involved in making this the best possible place in Leicestershire. Our key focus is on character, integrating with existing country parks, protecting existing settlements with extensive green space, allotments and agricultural space. 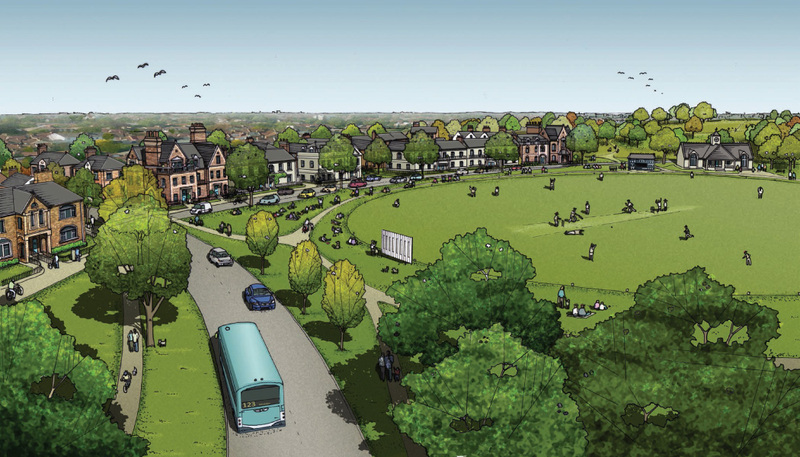 Vibrant village squares provide a community 'heart,' connecting tree-lined streets with woodland walks, parks, sport and leisure opportunities, schools, health facilities and services which you, as well as new residents, can embrace and enjoy. Charnwood needs to deliver almost 13,000 new homes by 2028, including 6,000 on the edge of Leicester.This is a crucial element of the Borough's plans. The idea of delivering garden villages to meet the needs of our existing cities and provide much-needed family housing, is far more sustainable than creating new settlements far away from existing employment and facilities.